Did you know that these two talents from Comedy Central's Key and Peele and Fox's Brooklyn Nine-Nine are together? 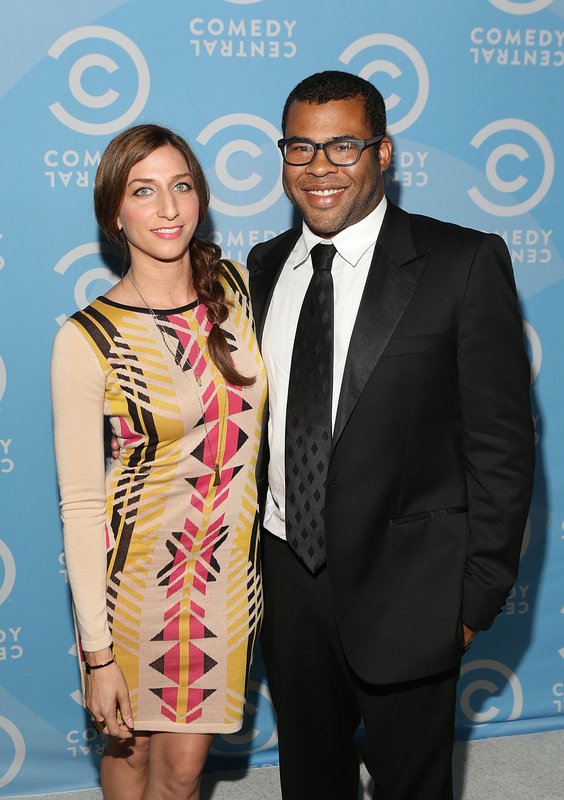 That's right, Jordan Peele and Chelsea Peretti are dating. Actually, the TV stars began dating in 2013 and have been together for two years now. With that said, they'll probably show up at the 2015 Emmy Awards as a couple and even strut their comedic stuff down the red carpet. Or, at least, let's hope so. Seeing as Key and Peele snagged an Emmy nom in several categories, I'd assume Peretti would show up to support her man. Anyways, since they've been dating for quite some time now, this got me thinking: how did Jordan Peele and Chelsea Peretti meet? Well, it seems like they have both the Internet and Peretti's Brooklyn Nine-Nine co-star Andy Samberg (and the 2015 Emmy host!) to thank for their coupling. According to a 2014 report posted by Dish Nation, Samberg introduced Peretti and Peele to one another. A source close to Samberg said, "As soon as Andy learned that Jordan expressed an interest in Chelsea he was on it. Andy knew this was a great match so he made it very simple — he told Chelsea that Jordan was a good man and she needed to give him a shot. Before you knew it, the two of them were hooking up and now they’re inseparable." It must be nice to have a friend who's not only willing to play cupid, but also find you a match made in heaven. That's one version of how they met. During an interview with Entertainment Weekly, Peretti talked about meeting Peele. She said, "Me and Jordan also met on the Internet, on Twitter. He was very complimentary of the Web series I once did. We were gonna go to Sizzler on our first… Am I supposed to talk about the fact that we live together? [Laughs] Or should I pretend he’s a business colleague?" There's a good chance that Samberg did introduce the two, in addition to Peele reaching out to Peretti via Twitter. Whatever the case, they make one adorable couple. I mean, just look at them gush about each other. Yeah, their meet-cute worked out well.